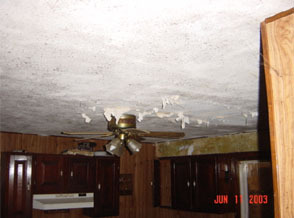 damaged area of wood rot. 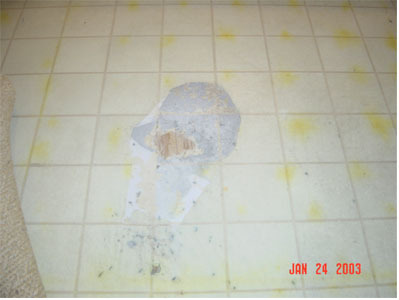 The same damage was found in the laundry room. 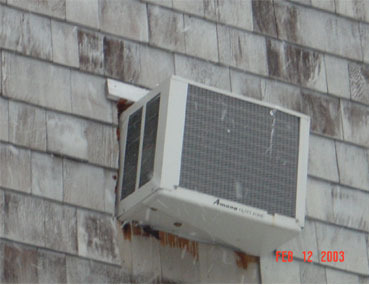 They buyer was unaware of the damage until an inspector discoverd it. 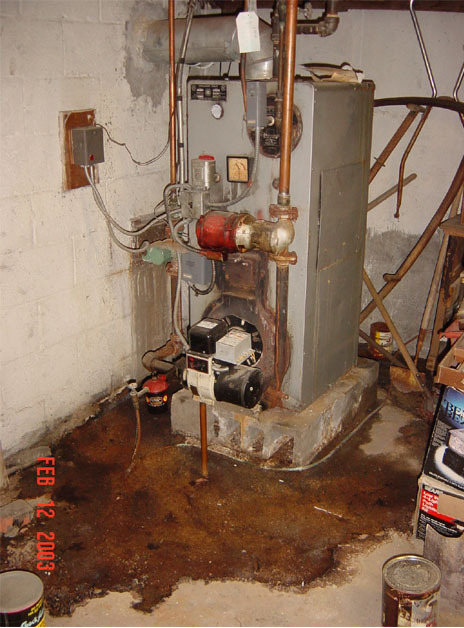 Creative but dangerous use of extra copper tubing. 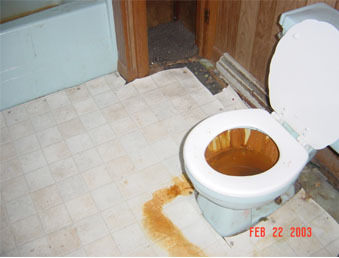 Whether the home sells or not, this is dangerous for anyone. 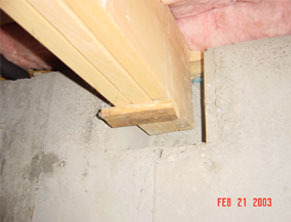 solidly in the beam pocket of the foundation.